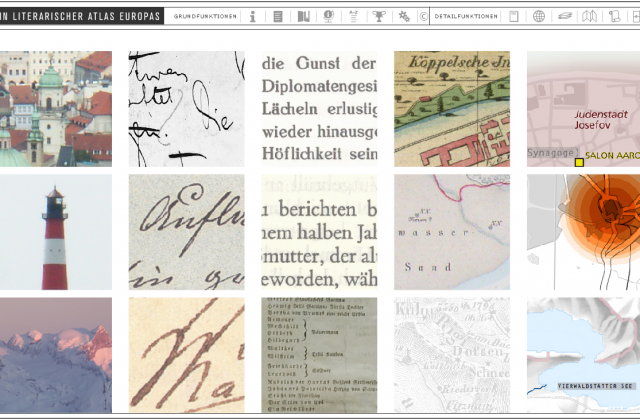 This paper contains an outlook about how a future »Literary Atlas of Europe« might look like – as an interactive mapping and visualisation system. 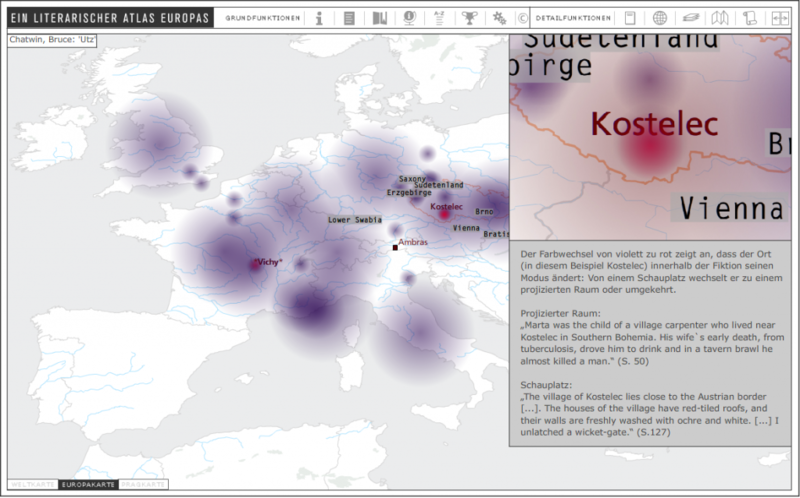 A graphically elaborated scenario, conceptualised by the visual designer Anne-Christine Krämer, the cartographer Anne-Kathrin Reuschel and Barbara Piatti, expert in literary history and theory, presents some of the most important functionalities an atlas information system for literature should offer. It is based on formalised readings and data already collected via an online template and stored in a database (currently literary-geographical readings of approx. 200 texts are available). Not every tool presented in the following will be implemented into the prototype, some of them have to be regarded as pure sketches, a collection of ideas, developed also with experts from literary studies, who told us their specific needs and wishes concerning a toolbox for literary-geographical research. 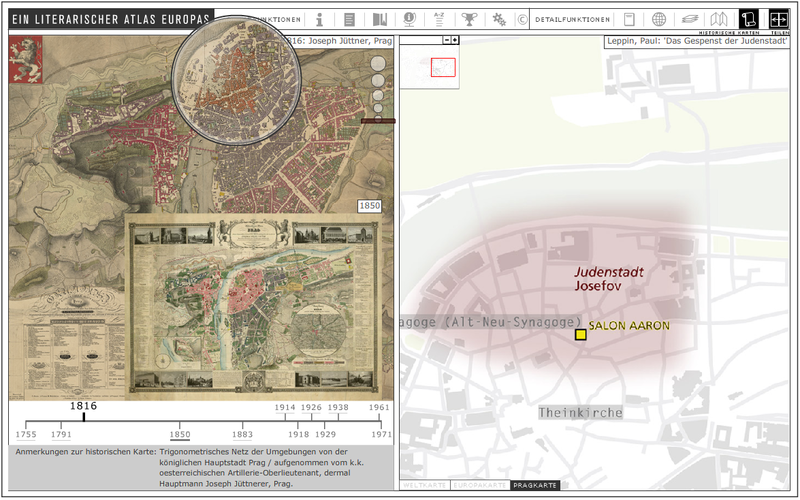 The paper presents a number of map samples and important functions, which crucially support the analysis of the spatial dimension of literature – such toggling between different map types, e.g statistical visualisation and single object maps; comparing the fictional space of a novel with a historical map of the area, that served as model for the settings, scale switching, comparing serveral literary maps side by side and so on.